Created by Mauricio Affonso the Sombrero Bottle Juicer is a little device that allows to squeeze fresh lemons right into the bottles. Sombrero Bottle Juicer is a manual citrus juicer adapted to fit into the bottle neck to collect the juice. The idea came about when Mauricio encountered a friend trying to squeeze a lemon into the head of a water bottle. At that moment he thought there ought to be an easier and cleaner way to enjoy naturally flavoured water on the go. 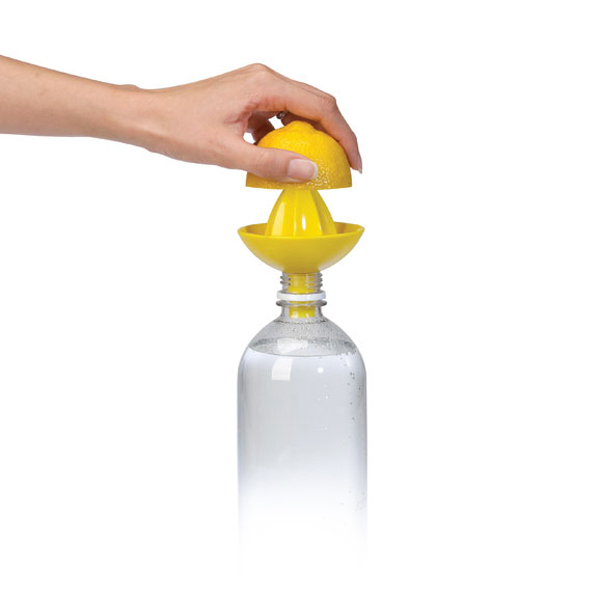 SOMBRERO Bottle Juicer provides a healthier choice for flavoured water without artificial flavours, colors and sweeteners while also encouraging people to re-use and refill water bottles. 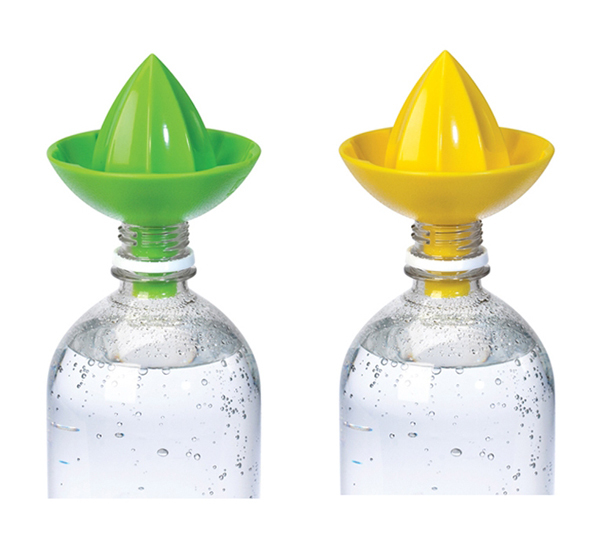 Whether you want to make lemonade or natural flavored water the handy Sombrero Bottle Juicer can be used easily and without any mess and spills. What do you think about Sombrero Bottle Juicer?